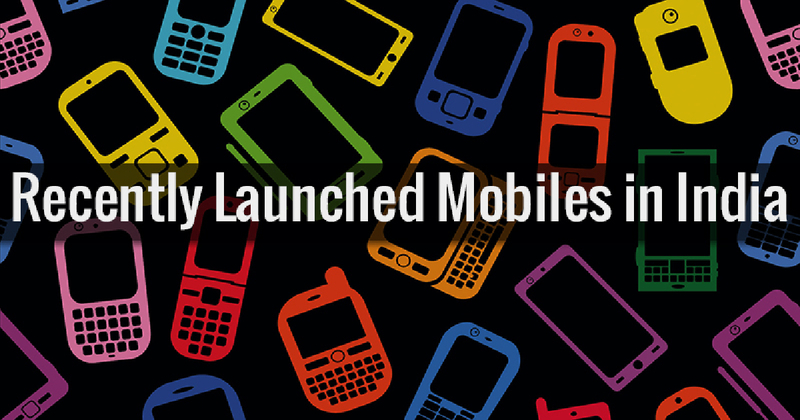 The article here gives you the insight of the recently launched mobiles in the Indian market. And here we specifically enlighten you about the best latest smartphones that we have selected from the various launches made in the recent past by the top mobile manufacturers of the globe. 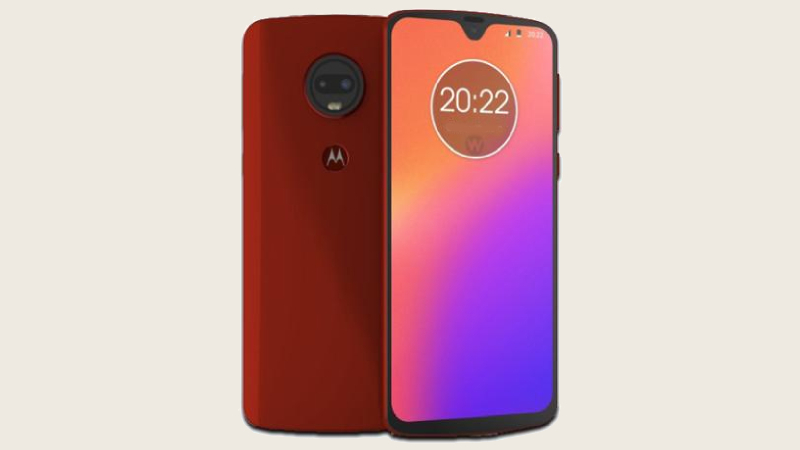 The list has been made keeping in view all the major specifications, such as software, camera, price and other features that a smartphone must have to attract users. The article will also help you figure out the best newly launched mobile in India that can be best for you. If you are searching for the latest mobile phones with prices and features then this is the right place for you! Here we make a list of the latest mobile phones 2019 for you so please take a look at them and choose the smartphone that fit for you. 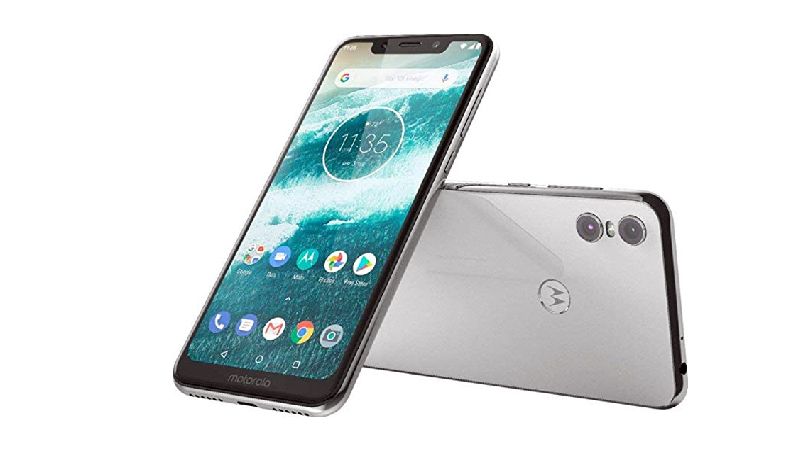 The newly launch Motorola One smartphone has a 5.9-inch HD+ Max Vision LCD display with a screen resolution of (720×1520 pixels). The phone is powered by Qualcomm Snapdragon 625 processor with 4GB of RAM and 64GB of internal space, which can further be expanded up to 256GB through a microSD card. 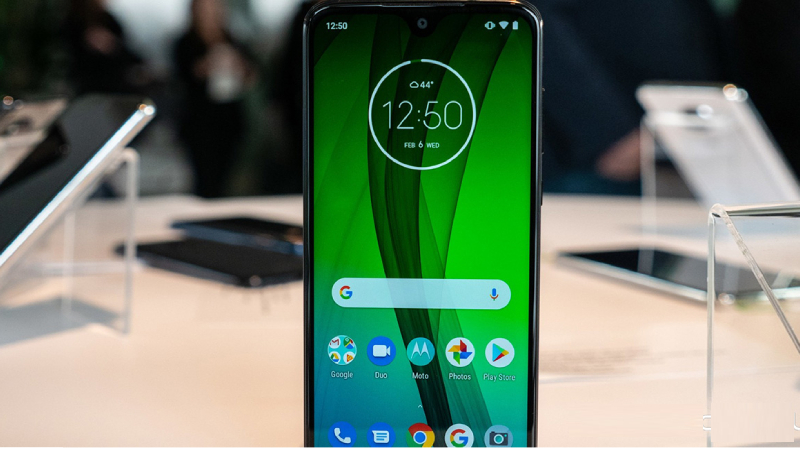 The Motorola One packs a dual camera set up at the back which comes with a primary 13+2-megapixel camera and 8-megapixel front camera for selfies and video calling. The handset sports a 3,000mAh battery along with TurboPower fast charging support and runs on the Android 8.1 Oreo operating system. The Moto G7 smartphone comes with the price tag of Rs.16,999. The device comes with a 6.24-inch full-HD+ Max Vision display with a screen resolution of 2270 x 1080 pixels. The handset is powered by a Qualcomm’s Snapdragon 632 processor with a 4GB of RAM and 64GB of onboard storage, which can further be expanded up to 512GB through a microSD card. The Moto G7 sports a 3,000mAh battery along with 15W TurboPower fast charging support and runs on the latest Android 9 Pie out of the box. On the connectivity options include 4G VoLTE, 3G, USB Type-C, Bluetooth, Wi-Fi. The F11 Pro phone comes with the price tag of Rs 24,990 in India. The handset is available in two color variants which includes Thunder Black and Aurora Green. The phone has a 6.5-inch Full HD+ capacitive touchscreen (1080 x 2340 pixels) display. The handset is powered by an octa-core MediaTek Helio P70 processor with 6GB of RAM and 64GB of internal memory. The F11 Pro packs a dual rear cameras setup 48+5-megapixel with a single LED flash and 16-megapixel front side camera along with f/1.79 lens for selfies and video calling. The phone sports by a 4000mAH Non-removable Li-Po Battery and the company claims that it will give up to 12 hours of video streaming. The newly launched Oppo F11 smartphone comes with the price of Rs 19,990 in India. The phone is available in two color options- Marble Green and Fluorite Purple. The handset has a 6.5-inch Full HD+ Capacitive touchscreen (1080 x 2340 pixels) display with dewdrop style notch. The Oppo F11 is powered by a MediaTek Helio P70 (12nm) Processor with 4 GB RAM and 128 GB internal space. The smartphone sports a 4020mAh Non-removable Li-Po Battery and runs on Android 9.0 (Pie) Operating System. On the connectivity options include 4G LTE, Wi-Fi 802.11, GPS, Bluetooth, USB Type-C. The newly launched Samsung Galaxy M30 comes with the price tag of Rs. 15,000 and available in Black and Blue color options. The smartphone has a 6.4-inch full-HD+ display with 1080×2220 pixels resolution. The device is powered by an Octa-core (2.2 GHz, Dual core, Cortex A73 + 1.6 GHz, Hexa Core, Cortex A53), Samsung Exynos 7 Octa 7885 processor with 4GB of RAM and 64 GB internal space. The Galaxy M30 packs a triple rear camera setup having a 13+5+5 camera with 16-megapixel front selfie camera with an f/2.0 lens. On the connectivity options includes 4G LTE, 3G, Bluetooth, micro USB, Wi-Fi 802.11, etc. 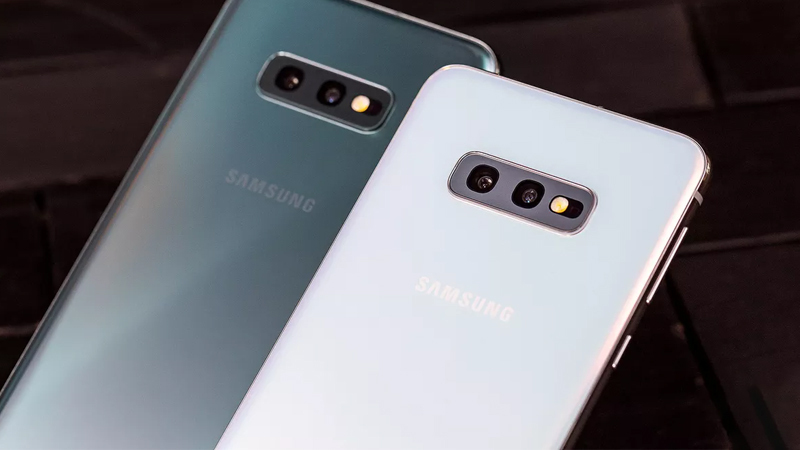 The Samsung Galaxy S10 is now available in more than three color options – Prism Green, Prism Black, Prism Blue, Canary Yellow, Flamingo Pink and Prism White. The device has a 6.1-inches Dynamic AMOLED capacitive touchscreen (1440×3040 pixels) display. 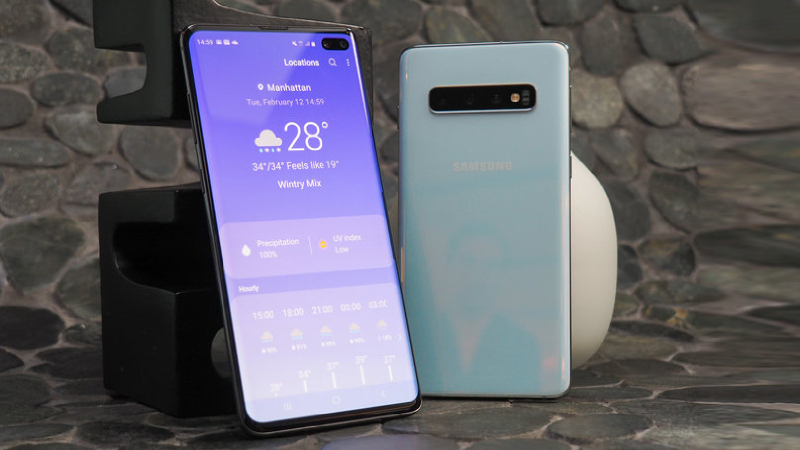 The phone is powered by an Exynos 9820 Octa (8 nm) Processor with an 8GB RAM and 128/512GB internal memory that is expanded up to 512GB via using microSD card. The Samsung Galaxy S10 packs a 12+12+16-megapixel rear camera with a 10-megapixel front selfie camera. The smartphone sports a 3400mAh Non-removable Li-ion Battery and runs on the Android v9.0 (Pie) Operating System. 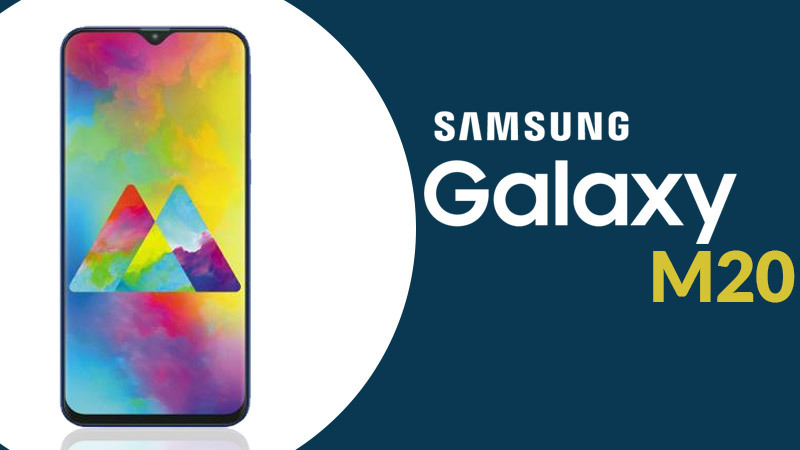 The Samsung Galaxy S10e is a flagship smartphone that comes with lots of features. The Samsung Galaxy S10e comes with the price tag of Rs. 55,900 and available in Prism Black and Prism White color options. The smartphone has a 5.8-inch Dynamic AMOLED Capacitive Touchscreen (1440 x 2280 pixels) display. The phone is powered by an Octa-core Exynos 9820 Octa processor with a 6/8GB of RAM and 128/256GB inbuilt storage, expandable up to 512GB via a microSD card. 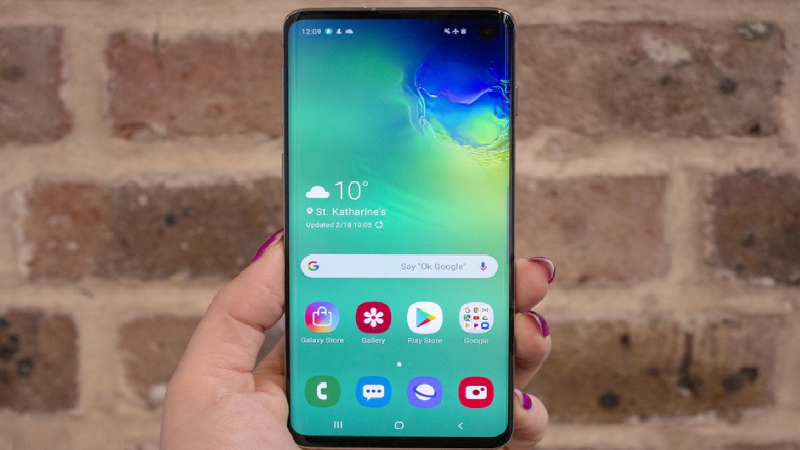 The Samsung Galaxy S10e packs a 12+16-megapixel rear camera along with a 10-megapixel Front selfie camera. The handset has a fast charging technology as well as wireless charging support. The newly launched Samsung Galaxy S10+ comes with the price tag of Rs. 73,900 for the 128GB inbuilt memory,it will price Rs 91,900 and 1TB variant will cost Rs. 1,17,900. The smartphone is available in three color options- Prism Blue, Prism Black, and Prism White. The handset comes with a 6.4-inch Dynamic AMOLED Capacitive touchscreen (1440 x 3040 pixels) display. The Galaxy S10+ packs a triple rear cameras setup having a 12+12+16-megapixel camera with a 10+5-megapixel dual front selfie camera. Top sensors on the smartphone include an accelerometer, ambient light sensor, gyroscope, heart rate sensor, proximity sensor, barometer, digital compass (magnetometer), RGB light sensor, and an ultrasonic in-display fingerprint sensor. The newly launch Vivo V15 Pro price in India has been set at Rs. 28,990 and its available in Topaz Blue and Ruby Red color options. The smartphone has a 6.39-inch Super AMOLED Capacitive touchscreen (1080×2340 pixels) display. The handset is powered by an octa-core Qualcomm Snapdragon 675 AIE SoC with a 6GB RAM and 128GB internal space. 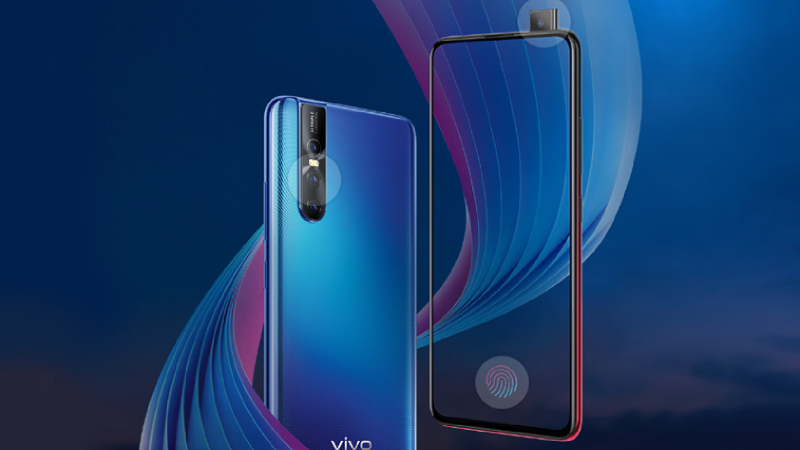 The Vivo V15 Pro packs a triple cameras setup having 48+8+5-megapixel primary Quad Pixel sensor with a 32-megapixel camera sensor sitting under the pop-up camera module. On the connectivity options include 4G LTE, 3G, GPS, Bluetooth, USB Type-C, Wi-Fi 802.11, etc. The Gionee F205 Pro has comes with the price tag of Rs. 5,890 with Black, Blue, and Champagne gold color variants. The smartphone sports a 5.45-inch HD+ (720×1440 pixels) display with a 2.5D curved glass. The handset is powered by a 1.5GHz quad-core MediaTek MT6739WW SoC with 2GB of RAM and 16GB internal storage, expandable up to 256GB via microSD card. The Gionee F205 Pro packs a 13-megapixel rear camera with an f/2.0 aperture and 5-megapixel front camera. The Connectivity options include 4G VoLTE, Wi-Fi 802.11 b/g/n, Bluetooth v4.1, GPS, a 3.5mm headphone jack, and a Micro-USB port. 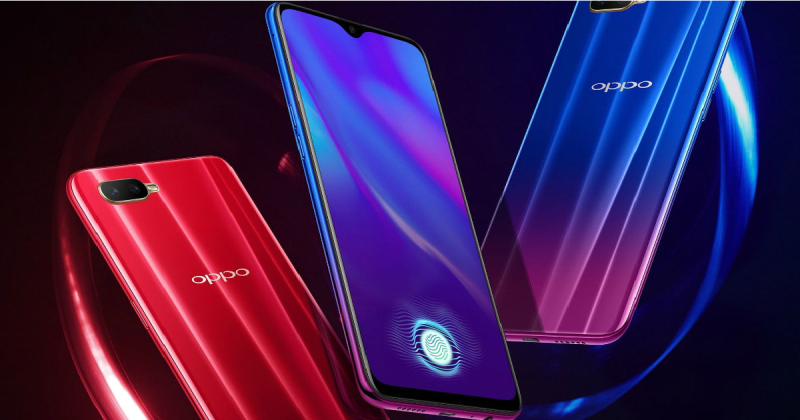 The Oppo has launched a lower mid-range smartphone, Oppo k1 with the price tag of Rs. 16,990. The phone is available in Astral Blue and Piano Black color option. The smartphone has a 6.4-inch Full-HD+ AMOLED display with (1080 x 2340 pixels) resolution. The device is powered by an octa-core Snapdragon 660 SoC clocked at up to 1.95GHz with 4/6GB RAM and 64 GB internal space that can be expanded up to 256GB via using microSD card. 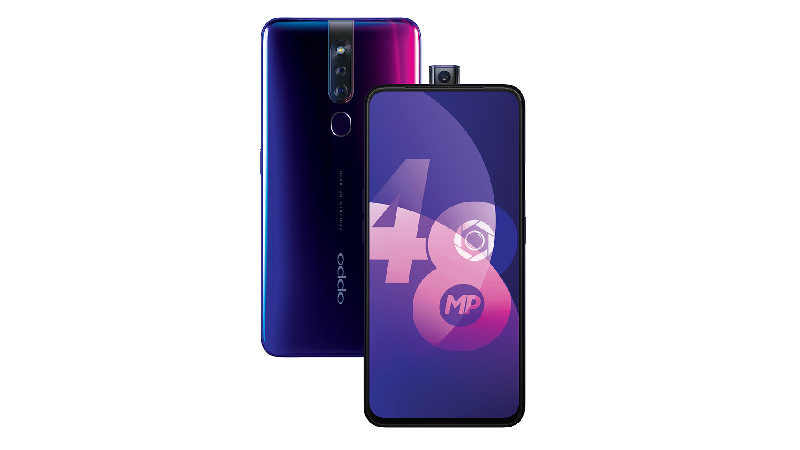 The Oppo K1 packs a dual camera setup include a 16+2-megapixel rear camera with a 25-megapixel front side camera. The connectivity options include 4G LTE, Wi-Fi 802.11 a/b/g/n/ac, GPS/ A-GPS, GLONASS, Bluetooth v5.0, micro USB 2.0, and a 3.5mm headphone jack. 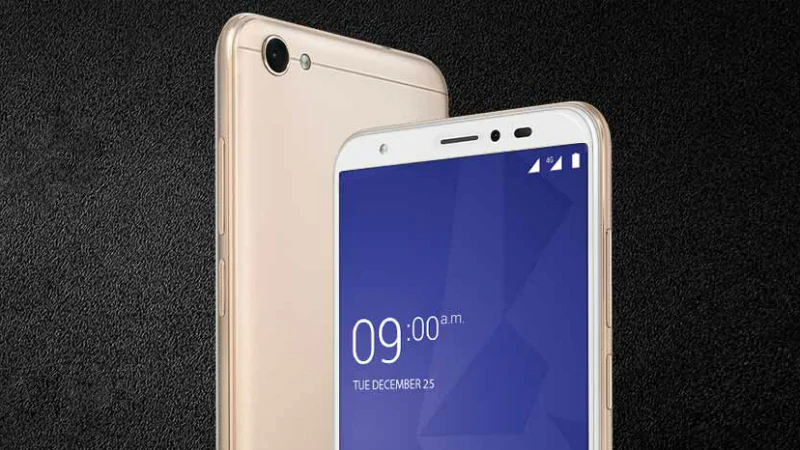 The newly launched Coolpad Cool 3 is priced in India at Rs. 5,999 and is available in Ocean Indigo, Midnight Blue, Ruby Black and Teal Green colour options. The smartphone has a 5.71-inch (1520 x 720 pixels) HD+ display with a resolution of (720 x 1520 pixels). 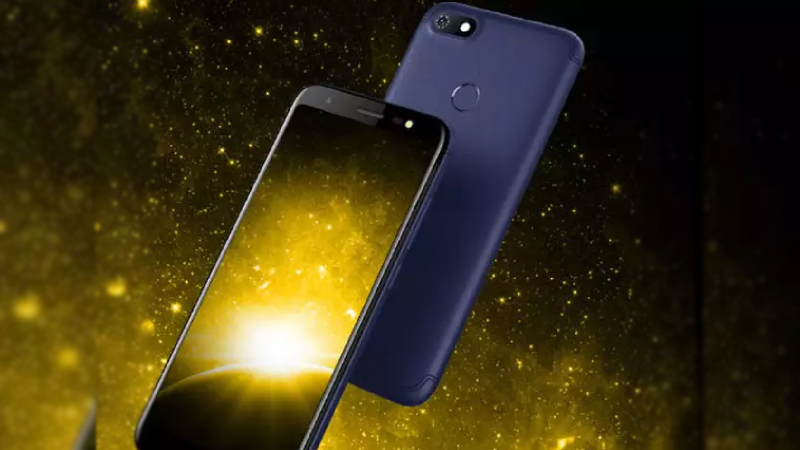 The handset is powered by a 1.3GHz octa-core Unisoc processor with 2 GB of RAM and 16GB internal storage, that can be expandable further using a microSD card slot (up to 128GB). 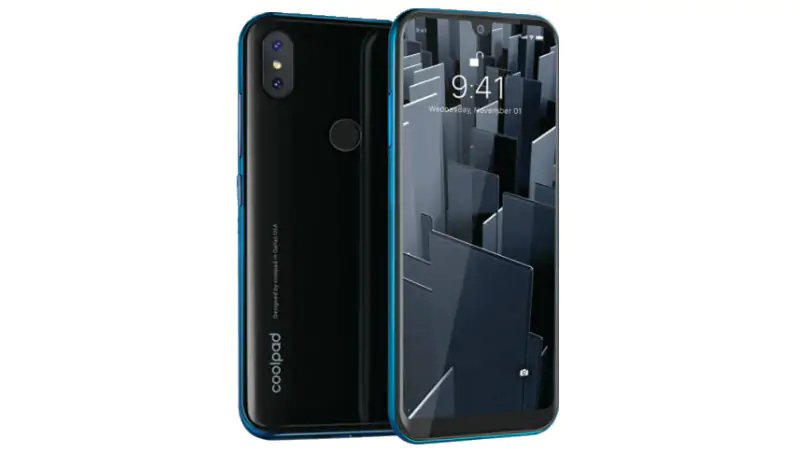 The Coolpad Cool 3 packs a dual cameras setup having a rear camera with LED flash with a 5-megapixel sensor for selfies. On the connectivity options include Bluetooth 4.1, Wi-Fi, 4G VoLTE, and more. 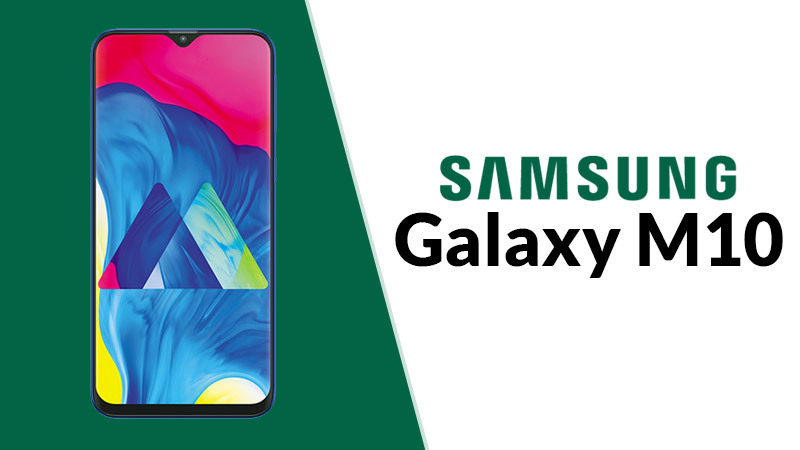 The newly launched Samsung Galaxy M20 smartphone is available at Rs. 10,990 for the 3GB RAM/ 32GB internal memory, while its 4GB RAM/ 64GB inbuilt space available at Rs. 12,990. The handset will come in Charcoal Black and Ocean Blue color options. The phone has a 6.3-inch PLS TFT Capacitive touchscreen (1080×2340 pixels) display. The Samsung Galaxy M20 packs a dual cameras setup having a 13+5-megapixel primary camera and 8-megapixel front camera for selfies. The Dual SIM mobile runs on the Android 8.1 Oreo-based on Samsung Experience 9.5 UX and sports a 5000 mAh, Non-removable Li-Po battery. 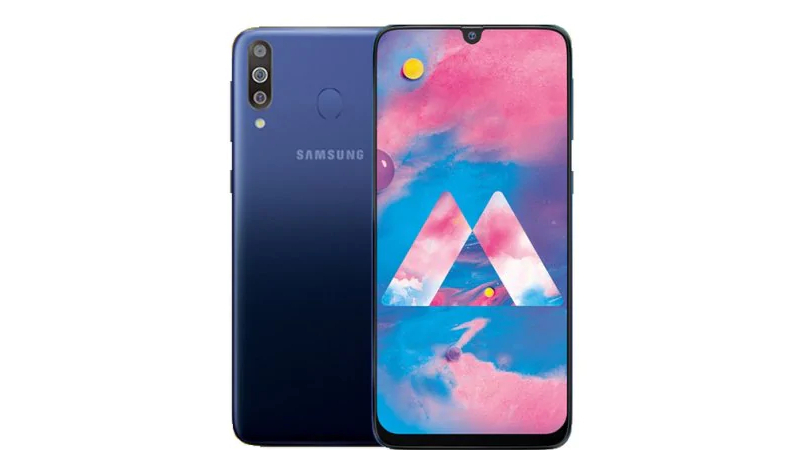 The newly launched Samsung Galaxy M10 price in India starts at Rs. 7,990 for the 2GB RAM/ 16GB variant, while the 3GB RAM/ 32GB internal memory is priced at Rs. 8,990. The smartphone is available Charcoal Black and Ocean Blue color options. The handset comes with a 6.2-inch PLS TFT Capacitive touchscreen (720×1520 pixels) display. The Samsung Galaxy M10 packs a dual-cameras set up includes a 13+5-megapixel primary camera and 5-megapixel selfie camera sensor. The dual SIM mobile sports a 3400mAh Non-removable Li-ion battery and run on Android 8.1 Oreo on top of Samsung Experience 9.5 UX. On the connectivity options include 4G VoLTE, 3G, micro USB 2.0, Bluetooth, Wi-Fi, etc. 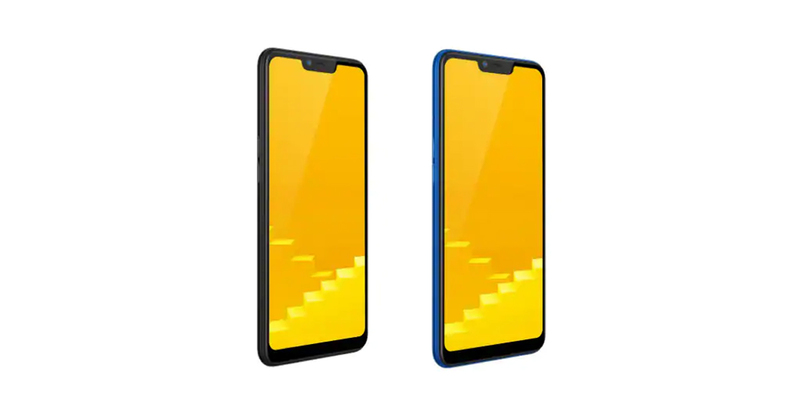 The newly launch The Realme C1 (2019) edition comes with a two variants 2GB RAM/ 32GB storage and 3GB RAM with 32GB memory. The 2GB RAM variant comes with the price tag of Rs 7,499 while 3GB RAM variant is priced at Rs 8,499. The smartphone has a 6.2-inch Full HD+ Capacitive touchscreen (720×1520 pixels) display. 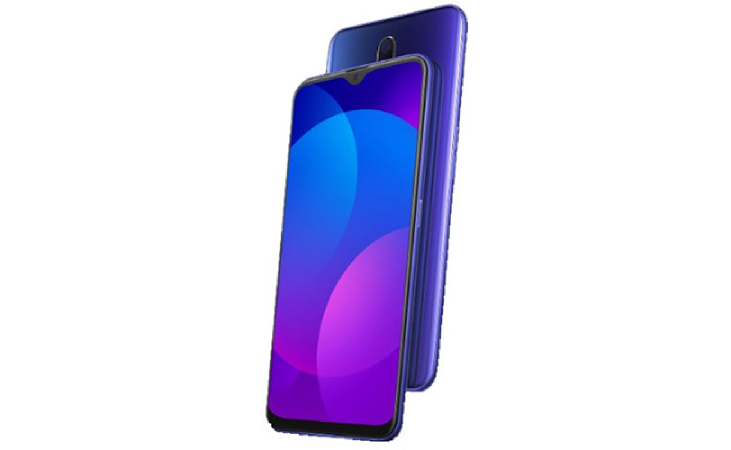 The Realme C1 (2019) packs a dual rear camera set up having a 13+2-megapixel camera and a 5-megapixel selfie shooter. On the connectivity options includes 4G VoLTE, 3G, micro USB 2.0, Bluetooth, Wi-Fi 802.11 and fingerprint sensor for unlocking the device. The newly launch Honor View 20 phone has a display Hole for Front Camera. The device has a 6.4-inch touchscreen display with a resolution of 1080 pixels by 2310 pixels. The handset is powered by an Octa-core (2×2.6 GHz Cortex-A76 & 2×1.92 GHz Cortex-A76 & 4×1.8 GHz Cortex-A55) processor with a 6/8 GB of RAM. 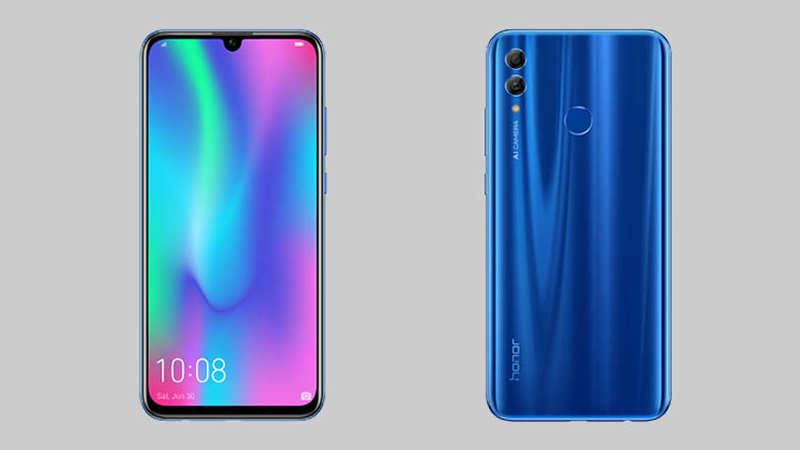 The Honor View 20 packs a 48-Megapixel rear snapper with a 3D sensor and a 25-megapixel selfie camera. On the connectivity options include 4G VoLTE, 3G, Bluetooth v5, Wi-Fi, Mobile Hotspot, GPS, Glonass and a type-C USB. The handset sports a 4000mAh Non-removable Li-Po battery to keep it running for a decent period. 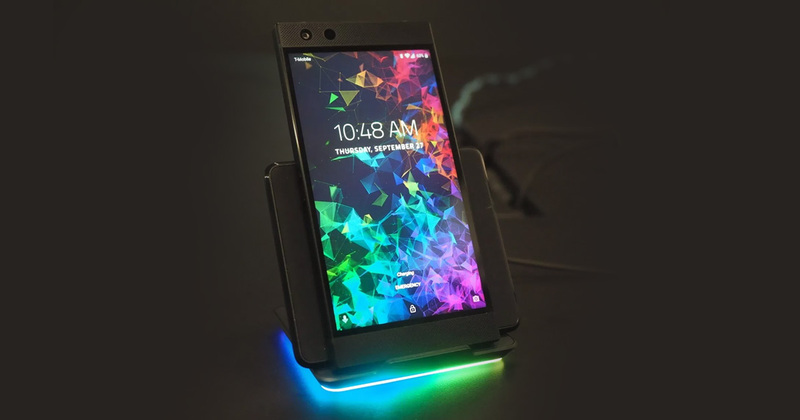 The newly launched Razer Phone 2 is a flagship and gaming-focused smartphone with the most powerful hardware to make sure of top performance. The phone has a 5.72-inch HD IGZO LCD Capacitive touchscreen (1440 x 2560 pixels) display with better color accuracy. The handset is powered by a Snapdragon 845 2.8GHz processor with 8GB RAM and 64GB internal memory, expandable up to 2TB via micro SD card. The Single SIM mobile runs on the Android 8.1 Oreo Operating System and packs a 4000mAH, Non-removable Li-Po Battery. The smartphone has a superfast USB-C charging with QuickCharge 4.0+ mode, which firm claims will charge half the battery in 30 minutes. 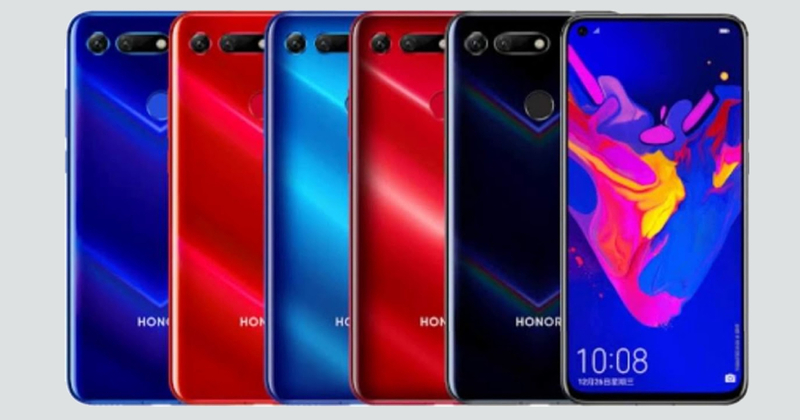 The Honor 10 Lite is a mid-range smartphone with a 6.21-inch display with a resolution of 1080 pixels by 2340 pixels. The phone is powered by an Octa-Core (4xCortex A73 2.2 GHz + 4xCortex 53 1.7 GHz) Processor with 4/6GB RAM and 64GB inbuilt space. Top sensors on the device include a Fingerprint sensor, Proximity sensor, Ambient light sensor, Digital compass, Gravity sensor. The Honor 10 Lite packs a 13+2-megapixel rear camera and a 24-megapixel front side camera. The Honor 10 Lite is a Dual-SIM (GSM and GSM) smartphone sports a 3400mAh Non-removable Li-Po Battery and EMUI 9.0 based on Android 9 (Pie). The newly launched Itel A44 Air smartphone price in India is set at Rs. 4,999, and it is now available in Blusher Gold, Elegant Blue, and Slate Grey color options. The handset has a 5.45-inch display with a resolution of 480 pixels by 960 pixels. The smartphone is powered by a Quad-core 1.4 GHz, Spreadtrum SC9832E processor and 1GB of RAM. The Itel A44 Air comes with an 8GB internal space, expandable up to 32GB using MicroSD card. The device packs a dual rear camera set-up having a 5+0.08-megapixel with an AI Super Night mode and 2-megapixel Front camera which also supports face unlock. After a long period, Xolo comes again in the mobile market with new Xolo Era 4X smartphone. Xolo offers a 30-day money back guarantee to his buyers on purchasing on Era 4X. The Xolo Era 4X comes with 5.45inch HD+ touch display with 18:9 aspect ratio. Corning Gorilla Glass used on smartphone display to protect it from damages and scratches. The Dual-SIM smartphone runs on Android 8.1 Oreo and both sim support dual 4G VoLTE. However, the RAM, internal storage and processor not disclosed yet. The Xolo starts the sale of Era 4x on 9th January 2019 on Amazon in India and its price tag starting from rs. 4,444. To capture every moment in detail, it provides an 8MP camera in rear and 5MP camera in front. Era 4x comes with 3,000mAh battery with AI technology and also provide face unlock feature. 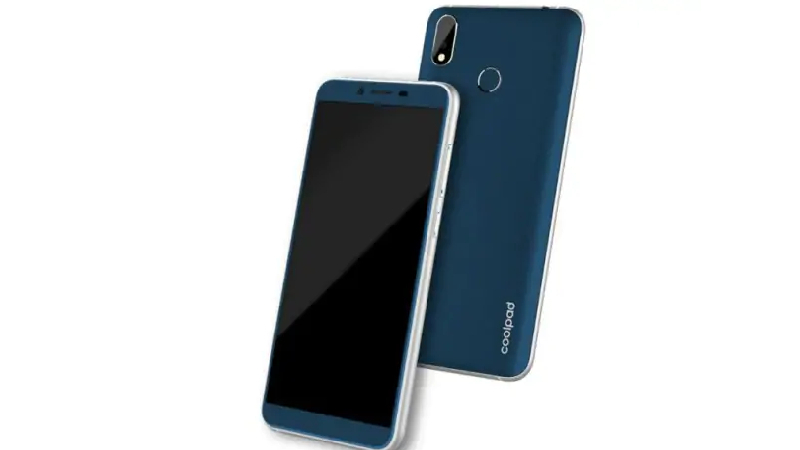 Coolpad has launched new smartphone namely as Mega 5 which equipped with a 5 sports a 5.7-inch full vision 18:9, HD+ display. The handset is powered by a quad-core MediaTek MT6739SoC with a 3 GB RAM and 32GB inbuilt space that would be expanded by via microSD card. 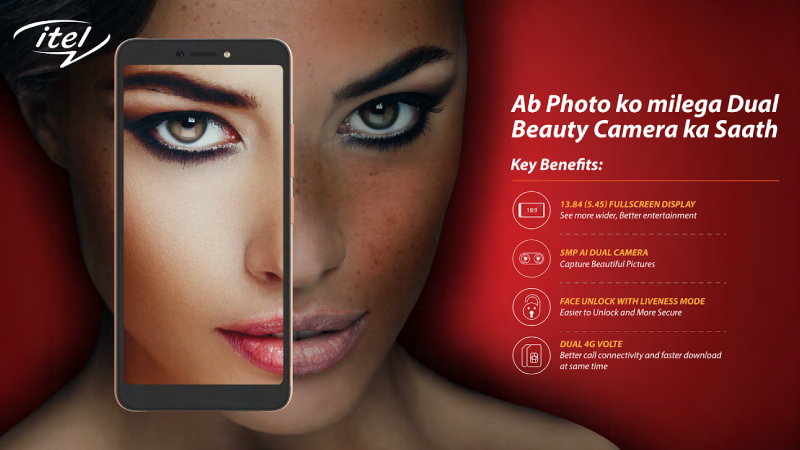 The Mega 5 packs a 13 MP + 0.3 MP dual rear camera and 5 MP front shutter for selfies. The Dual-SIM smartphone runs on Android Oreo, version 8.1 and sports a 3000 mAh, Non-removable Li-ion battery. On the connectivity options include 4G VoLTE, 3G, Bluetooth v4.2, Micro-USB 2.0, and Wi-Fi.